He says he’ll cut payroll taxes temporarily. 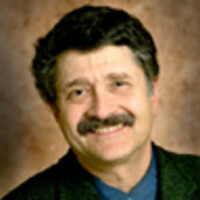 But Michael Medved sees a plan to raise taxes on the rich. What is Barack Obama’s long-term game on taxes? Considered in isolation, the proposed payroll tax cuts featured in his highly touted jobs bill look like a crass stunt designed for short-term political gain: reducing revenues by $240 billion next year and then allowing rates to revert to their old levels just weeks after the November elections. But in off-the-record conversations, Democratic strategists insist that these “temporary” tax cuts represent one step in a multistage plan for permanent transformation of the tax system, achieving a sweeping redistribution of money and power. If the president executes this scheme as anticipated, Republicans, even with their disciplined majority in the House, may find it difficult to stop him. The sneaky aspect of the White House agenda involves the deceptive suggestion that the payroll tax cuts—which some Republicans have already endorsed and would mean a savings of $1,500 for an average family earning $50,000—are meant to be temporary. Obama tipped his hand during his big speech presenting the jobs bill to a joint session of Congress. And when, exactly, is the time for a working politician “to carve out an exception and raise middle-class taxes”? We might have to wait for Armageddon to find out. In other words, the new low rates in payroll taxes for every American household, from 6.2 percent in 2010 to 3.1 percent in 2012, won’t suddenly evaporate at the end of 2012; they will become permanent almost inevitably, shrinking revenues not by $240 billion in a single year but by at least $2.4 trillion over 10 years. Revenue reduction on this scale would swamp any combination of spending cuts and tax hikes cooked up by the congressional supercommittee in November, which is already facing the daunting challenge of finding $1.5 trillion in deficit reductions. What could government possibly do to plug the new gaping budgetary hole resulting from the long-term reduction in payroll tax revenues? Obama, of course, stands ready with the answer: raise taxes on the rich. But assuming that dramatic payroll tax cuts became permanent, increases in income-tax proceeds would need to generate vastly more money than the changes the administration has already proposed. Following Obama’s present recommendations to close loopholes and return to Clinton-era tax rates for those earning more than $200,000 would cover less than half the cost of the payroll reductions alone, while doing nothing to pay for the administration’s other initiatives or to provide progress toward cutting the deficit. Clearly, the Democrats anticipate tax hikes that would hit more households and prove far steeper than alterations presently on the table, vastly increasing the reliance on relatively prosperous taxpayers, with the top fifth of households, earning more than $75,000, coughing up even more than the 70 percent of the total federal burden (combined payroll and income taxes) they pay today. Meanwhile, the bottom 60 percent of taxpaying households, earning below $50,000, would contribute even less than their current 16 percent of overall tax proceeds. Any sweeping shift of this nature could prove almost irresistibly popular: at a time of widespread economic hardship, it’s easy to argue for giving tax breaks to struggling families by imposing new obligations on the minority who’ve survived the tough times and still earn above-average incomes. The result, however, could mean a profound change in the very nature of government, with Washington ceasing to demand that every citizen provide some level of support for necessary operations and becoming instead a mechanism for transferring wealth from the more successful, who will pay vastly more taxes, to the less successful, who will receive largely undiminished benefits, while paying even less into the system than they do today. • Abandoning any serious attempt to get the deficit under control and letting the president add untold trillions to the obligations of unborn generations, thereby leading the U.S. down the well-greased (or well-Greeced) chute toward looming fiscal and economic collapse. Only one strategy can prevent the Democrats from forcing one of these choices and seizing a decisive advantage with the public and Congress. The GOP must counter Obama’s plan of sweeping transformation with a big picture tax plan of its own, featuring comprehensive reform and radical simplification. This daunting project simply can’t wait for a potential Republican victory in 2012. By that time the president may well have locked his own changes into place. Conservatives should urgently resurrect the recommendations of the president’s own Simpson-Bowles deficit commission, demanding lower rates for all combined with elimination of loopholes and broadening the base. This approach provides great advantages in transparency and rationality—while ensuring that everyone, including earners at both ends of the income scale, pays a fair share. If the GOP goes along with supposedly temporary changes in payroll taxes that all Americans pay, and if conservative leaders fail to see current tax skirmishes as part of a long-term battle, they will lose, facing defeat in both political and policy terms. The president has staked out a stealthy but plausible course of action that promises the sort of “bold change” he has always extolled. If the Republicans hope to respond effectively, they can do no less.